A change in the law could mean mediums, psychics and healers face prosecution if they cannot justify their claims. Spiritualists are delivering a mass petition to Downing Street and complaining that a genuine religion is being discriminated against. At Battersea Spiritualist Church, the new laws mean visiting medium Bill Rae is peppering his session of clairvoyance - for which there is only a voluntary collection - with disclaimers along the lines of "this is not science" and "this is just an experiment". The clairvoyancy session is like a game of psychic battleships. Rae fires off little salvos. Most shots miss, but many hit, generating wonder in the congregation. He speaks to a man a few rows back. Rae, who receives nothing more than expenses for these sessions, has seen a man in the "spirit world". He thinks it might be the subject's father. The man nods and Rae continues. Centre on "reasonable expectations of the average consumer"
The medium describes the man's father as jolly and there is agreement from the subject. Now Rae sees a name. George. But the man knows no George. "Georgette?" No, the man replies. Then the medium wants to establish where the man's father is from. He sees a link to Jamaica. No, says the man. Now Rae sees the word "Windward". The Windward Isles, he tentatively ventures. No, says the man again. But Rae is unperturbed. He guesses that the man is from an island. No again. Then Rae has a purple patch. He asks about the name Gregory. The man's brother is called Gregory. And he infers that the man's father died of prostate cancer, which is correct. The subject comes from Washington DC and his family have been there for generations. But he is inspired by Rae's references to his brother and father and seems totally convinced. Talking to Rae, it is immediately apparent that he has a strong and genuine belief in what he is doing. Another person who is concerned over the new rules is Alison Lyndle, a spiritual healer, shaman and "space clearing consultant" who operates out of an anonymous interwar mock Tudor house in Harrow. Contrary to the cliche of the heavily bejewelled healer, Lyndle's hands are unadorned with rings. And yet she, and the people who come to see her, believe they have the power to heal. The patient lies on a GP surgery style bed as Lyndle lays hands on the patient's head for more than half an hour. Hearing just the chirping of birds and the gentle thrum of the central heating boiler turning on and off, it is easy to see how both sceptic and believer would feel better afterwards. "I agree that there needs to be something in place to stop people who are fraudulent," she says. "I get e-mails from people from time-to-time saying they have paid thousands of pounds to people." But she says that she fears that the law would open up the possibility that sceptics could make malicious complaints. David McEntee-Taylor and his wife Carole have set up the Spiritual Workers Association to protect people like Lyndle and Rae and campaign against the new regulations. McEntee-Taylor is particularly worried about the effect on spiritualist churches, many of which are held in impromptu venues which must be paid for. And he is not happy about having to start religious services with a disclaimer, something that most religions would give short shrift to. "If you believe why should there be a disclaimer? Why should it be different for us?" And yet the established religious body, the Spiritualists' National Union - which claims 100,000 adherents - seems unconcerned by the imminent change in the law. Minister Steven Upton, a spiritual healer and the movement's public relations head, says regulation to tackle fraudsters is welcome. "We don't understand why people are protesting. If you are claiming you can prove life after death you've got a problem. We never guarantee it is going to work. Trained mediums don't make false claims." Psychologist Prof Richard Wiseman has spent 15 years investigating psychics, healers and mediums and is unconvinced. "Anecdotal evidence on their abilities is impressive, but if you put it under more scientific conditions, their claims tend to crumble. [Now] they will need to be able to justify the claims they are making." But there are many ordinary people who will continue using mediums, and they come from diverse backgrounds. Lorraine Crighton-Smith, 27, a journalist from London, saw a medium four years ago when a friend invited one to her house to do readings for a group of seven, professional, 30-something women. "He asked 'who's William, who's Bill?'. I replied, 'he's my dad' and he said 'something's going to happen to your dad sweetheart'. "I suppose I did worry for a while but I was more impressed he had mentioned a name familiar to me than I was concerned. He was spot on when he was talking about what I was like, my personality traits." The Office of Fair Trading says enforcement of the new regulations will not target sessions like this or churches, instead being more likely to be used against foreign mass mailshot fraudsters extracting large sums of money. But despite the protestations of officialdom, the medium community has enough foresight to see potential problems ahead. Proper religions don't charge for advice, and these new regulations only cover paid-for services. I don't think spiritualism is being picked on, only those rogues who are happy to fleece vulnerable people. If we're going to ask psychics to prove their beliefs, shouldn't someone pass a law requiring the Pope to prove he can speak to God. Perhaps the government should just give us all a bit more credit, we've all seen Derren Brown show us how easy it is to fake these things and lets be honest, the vast majority of people take it all with a pinch of salt. However, that doesn't mean that a bit of faith and belief can't be just as powerful as the best drugs. Just because we don't understand how something works, doesn't mean it doesn't work. It makes me feel sick and angry to read accounts of cold readings or to see "mediums" at work. Cold reading, whether done as a con trick or done "in good faith" (ie equal credulousness on the part of both the medium and the mark) is about fishing; people remember the "surprising" hits and forget the wild misses. It's human nature to want to believe our loved ones live on elsewhere, and to want to seek comfort; taking advantage of it in this way is despicable. It's a confidence trick and so more power to this law. As someone who does not have 'traditional' religious belief I do find the above worrying. Not because I work in the field of psychics etc, I actually have a very normal job, but because of the worry this law could mean to those who do not follow an "accepted" religion. Catholics believe that the wine and the wafer become Christ’s blood and body. Are they going to be made to back it up? Or will they just have to offer disclaimers as well? I do believe there are some workers out there that prey on the vulnerable and any spiritualist, shaman or witch who truly had a religions belief would not do so. Mediums claim to speak to the dead, but all of their apparent "skills" can also be attributed to cold reading, guesswork, trickery, psychology, and the fact most people tend to remember the hits and forget about all the misses. 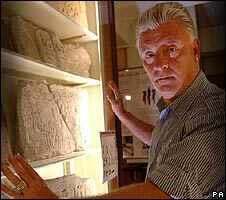 TV mediums like Derek Acorah also have the advantage of careful editing to eliminate any embarrassing errors. So isn't it reasonable to ask these psychics to provide some real evidence that what they do is genuine, especially since they tend to deal with - and take money from - the bereaved and vulnerable? I have plenty of friends who are Christians, Muslims, and practising Wiccans, I personally do not believe in any, but just because I do not believe does not give me the right to challenge them about the realism of there beliefs. I am disgusted that Parliament would even debate such a thing, after all mediums, psychics and healers are human, they make mistakes, just because a few mistakes might be made does not mean that a religion should be belittled and questioned in the manor that parliament so shamefully is debating. It is the fool that believes an entire religion should be belittled because of a single person. By the same logic they should insist that all religions prove that their God exists before accepting donations, otherwise it's obtaining money by false pretences.